Some of the links in this post are “affiliate links.” This means if you click on the link and purchase an item, I will receive a small affiliate commission. I still only recommend things I honestly like and think are quality. Thanks for supporting this blog! The tour includes several bloggers each day… we hope you’ll visit us all! 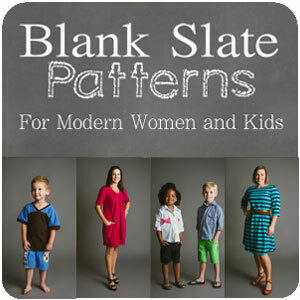 Giveaway: our tour sponsor Phat Quarters is offering 2 patterns of choice from her pattern shop to one lucky winner! Follow along and join in! Share how you are breaking ground by using the hashtag #BreakingGround2019 across social media. I decided to ‘Break Ground” in a couple different ways this year. First off, I sewed up my very first pattern from Jennuine Designs. This Schooner Tee is a a really cute mash of a dolman and a flutter sleeve. It makes a fun gathered sleeve effect. But it’s still a dolman and you only have two pieces! I found it really clever. I can see myself playing with the sleeves and fabrics with different drape to get all kinds of versions! Plus, there is a dress length with pockets included! I’m planning to use this white version with it’s high low hem for family pictures at the beach this summer. I had to make a second top with this mustard window pane fabric from Raspberry Creek Fabrics since my daughter isn’t allowed to wear the white one until after the pictures. She looked through my fabrics and fell in love with this print! Both versions are the high-low hemline shortened by 1.5 inches. One of the things I really like about Jennuine Design patterns is it includes a cut chart for the neck band! I alway measure the band pieces and use my rotary cutter to cut out my neckband. But I usually forget about it until I am ready to sew on the neckband and don’t have the piece. So then I have to pull out all the pattern pieces again and measure and then cut. But with the measurement chart, I can go straight to the cutting part! It’s Love! The Schooner Tee also has different cut charts for using cotton Lycra and ribbing. Ribbing is generally stretchier with really good recovery, so if you use that it needs a different band length. And its all figured out for you already. Plus, the charts are put on the pattern and within the pattern instructions. It’s really convenient. I prefer pdf patterns with trim pages so I really smiled when I printed the Schooner Tee and saw that I need to break out my scissors. Trimless pages are harder for me to line up correctly than trim pages because my printer doesn’t print to the edge and pulls differently. When I can trim the pages it’s so clear how to put the pattern together. But trimming can take a lot of time. And that leads my to my final ‘first’ and I feel like it is truly ground breaking. I used a paper cutter to trim my pages! It was so fast, accurate, and painless! I’m never using scissors to trim my pattern pages again! Overall I’m so happy with these Schooner Tees and my first experience with Jennuine Design patterns. I can’t wait to sew up some more Schooner Tees and try more patterns from Jennuine Designs! Oh so funny that we broke ground with the same pattern! We must have similar tastes! How funny! It was a good one to start with! Those ruffley but not too ruffley sleeves are just too cute. I prefer a cut chart for bindings too and really appreciate when designers add this detail. Yes, the cut chart is instant love over here! I really love the mustard version! Thank you! My daughter picked out that fabric for the shirt. Cute 🙂 She looks like she loves her new shirt!